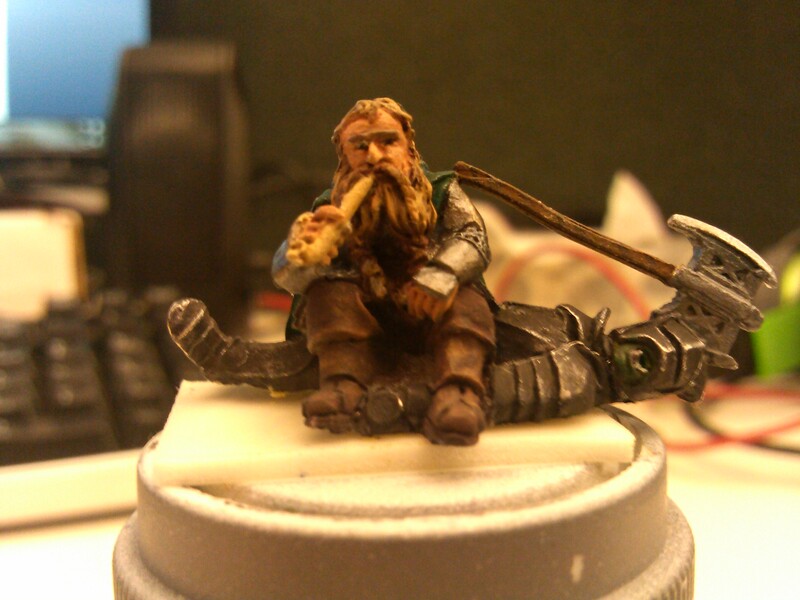 Here is the current progress of Gimli (via camera phone). 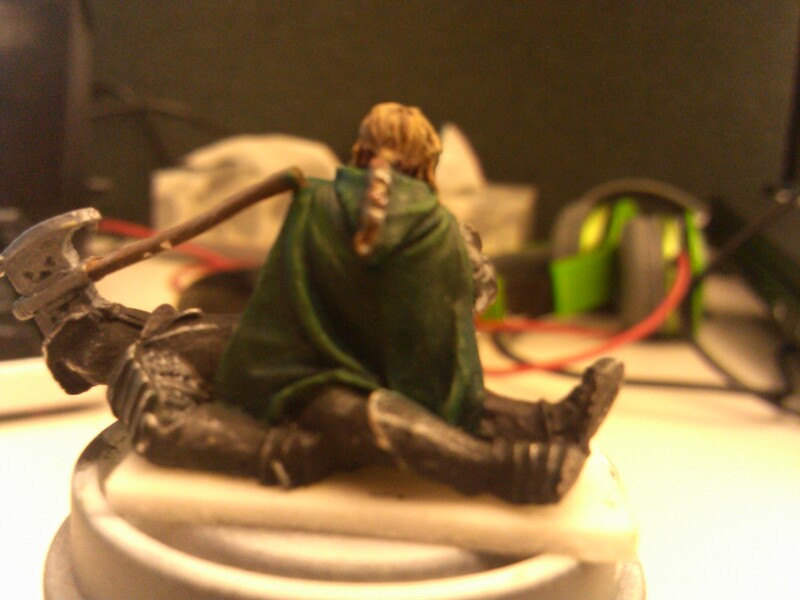 He is close to being done, but I have still a good amount of work to do, but I see the end near. I have also just started the base, but it still has a long way to go.